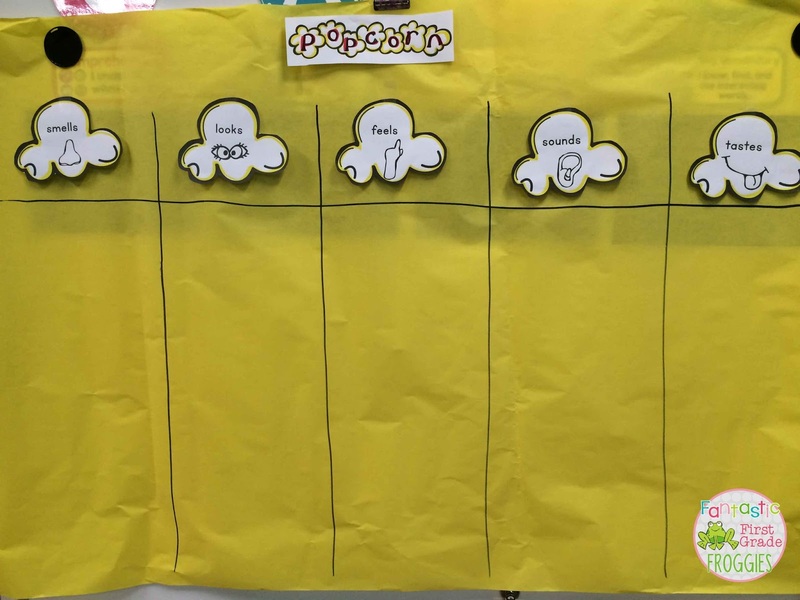 Teaching Blog Round Up: Popcorn Day! Hi friends, it's Renee from Fantastic First Grade Froggies. Have you started back at school yet? I had kids for three days last week and we had so much fun! We reviewed our five senses so we can "explore" our world this school year. We had popcorn day on Friday. 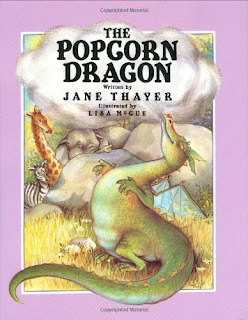 First off I read a fun popcorn book called the Popcorn Dragoon. The kids always love this story. Next we explored unpopped popcorn using our senses (no tasting). We discussed our findings. Then I had each student count out ten kernels (I have 20 students). We put them into two separate mason jars, taking this opportunity to count by tens. 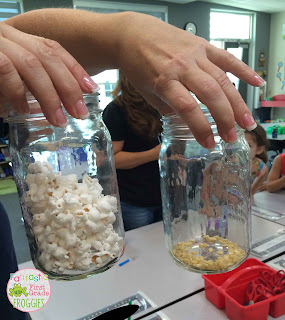 When we were done, we had 100 kernels in one jar and 100 kernels in a second jar. Then we used an air popper and popped 100 kernels. 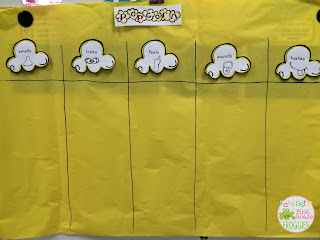 We compared the popcorn with the unpopped kernels. It was interesting to hear their responses. Some kids insisted that there were way more than 100 pieces of popcorn (even thought we popped 100 kernels). Then we got to taste the kernels and use all five senses to explore the popped corn. We filled out this chart as a class. 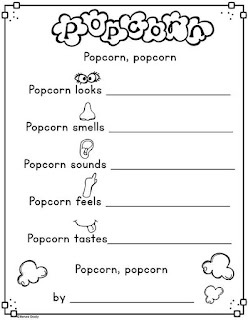 I had every intention to fill out this popcorn poem paper that I made, but we ran out of time. We will finish this up next week. Click below to grab a copy for yourself! It was a yummy day! The TpT Back to School Freebie eBook is HERE!